You’ve signed up for advertising in Look Local Magazine, now what happens? First, the Look Local design team will create an ad for your company based on your website, social media pages and/or images and content you provide. In a short timeframe, we will provide an ad proof for your approval prior to print. You may also submit your print-ready ad if you prefer. Mid-month, we begin the process of ad layout for each Edition, with careful consideration to proper color and saturation disbursement, avoiding coupon overlap, rotating ad placement and many other quality checkpoints. After a thorough proofreading process and edits if necessary, Look Local Magazines are submitted to print. Within 24 hours, the Look Local team is supplied with a final printed sample of each Edition for one final review. Once this final proofing is complete, Look Local Magazines experience their week-long process of pre-press, printing, binding, cutting and bundling. The magazines are neatly stacked on pallets in mailing trays and the Look Local team steps in to add the postal facing slips and transport them to the Bulk Mail Entry Unit, where they are weighed, counted and processed. Finally, each Edition is loaded into trucks and hand-delivered to each individual post office by Look Local owners, Greg and Carla. We touch every magazine, multiple times, to ensure quality and distribution as promised. Within 48 hours of mailing, your potential customers are retrieving their Look Local Magazines from their mailboxes! Our carefully-selected distribution is comprised of higher-value neighborhoods in Seminole County. Each Edition is mailed to 30,000 addresses, three subsets of 10,000 addresses rotated quarterly. This staggered distribution offers several benefits to Look Local advertisers, including: (1) the opportunity to modify ads to accommodate seasonal offers or special short-term promotions; (2) consistent exposure to a significant number of addresses; and (3) reader anticipation and excitement to receive Look Local Magazine in their mailbox, as it is not received so frequently that they lose interest over time. Look Local Magazine is also e-mailed monthly to subscribers, promoted via social media and personally at local events throughout the year. The Look Local marketing program has been great for our school. 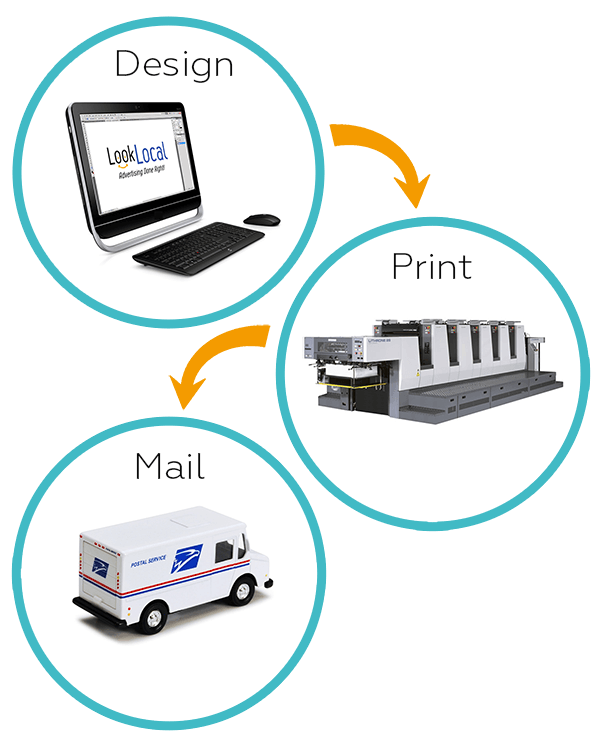 We appreciate the flexibility and cost-effectiveness the Look Local team offers in a quality print medium. Advertising with us is easy to do, simply begin by filling out this form.